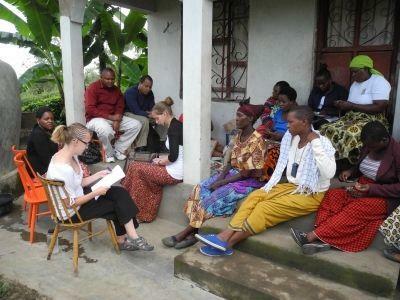 The Projects Abroad team in Tanzania has been working alongside the local community in Dar es Salaam to create a sustainable endeavor through the work done by Projects Abroad volunteers. According to the Country Director in Tanzania, Gloria Matoi, the voluntary work done in Tanzania assists in uplifting the local community. “Special program are sustainability projects, where volunteers aid the local community in starting up their own business instead of depending on donations, for example chicken farm projects.” By creating such projects, like the Micro-finance project, locals are given the platforms to generate their own means through micro-finance and small business opportunities. The Projects Abroad team also assists through providing training and support to host families where volunteers stay for the duration of their trip. “We provide employment, so to say, to the mamas of the host families to keep them busy through their day. We also train the host families in building a good relationship between them and volunteers,” said Matoi.